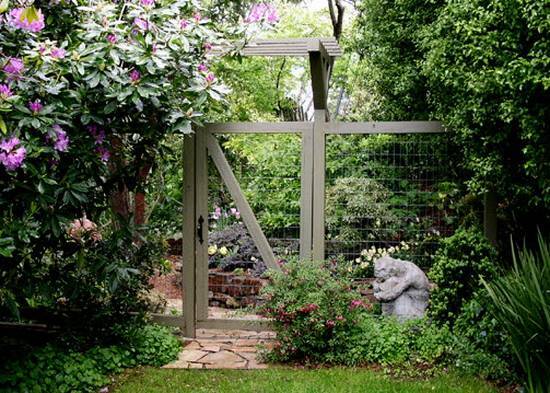 A fence is a functional and decorative structure that protect properties from intruders, provide privacy, separate different areas and add beautiful accents to yard landscaping ideas. 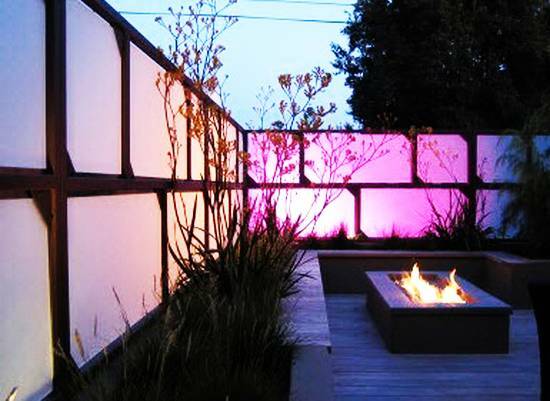 Modern fence designs vary in materials, styles and sizes. 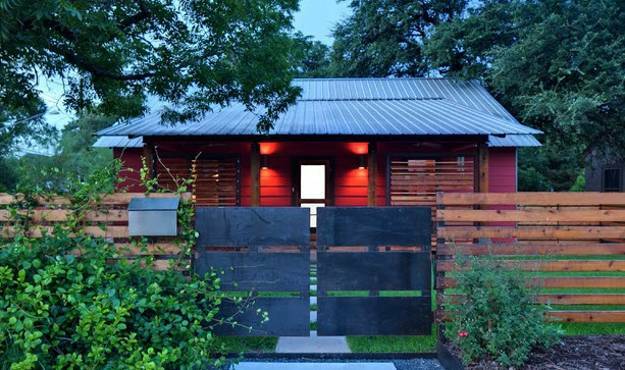 Bright colors, interesting details, surprising combinations of textures create beautiful fence designs to protect, improve and decorate properties. 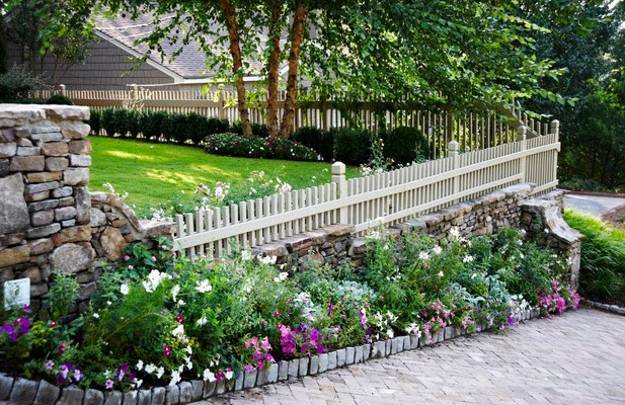 Lushome presents a collection of beautiful fence designs in various styles which make gorgeous yard decoration, enhance and complement house exterior and yard landscaping ideas. 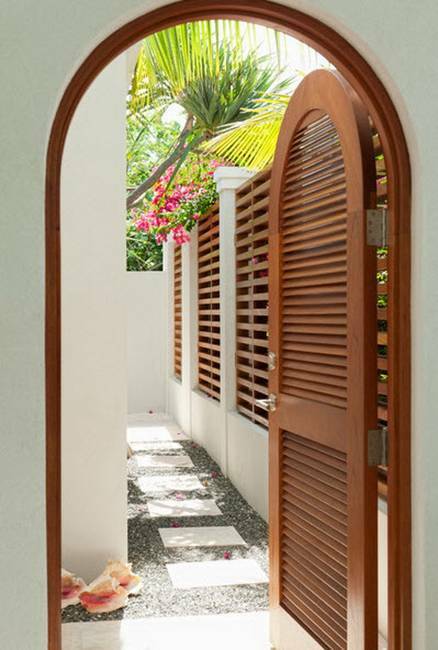 Beautiful fence designs allow to select the perfect decorating ideas for each home and backyard, reflecting the taste and lifestyle of home owners. 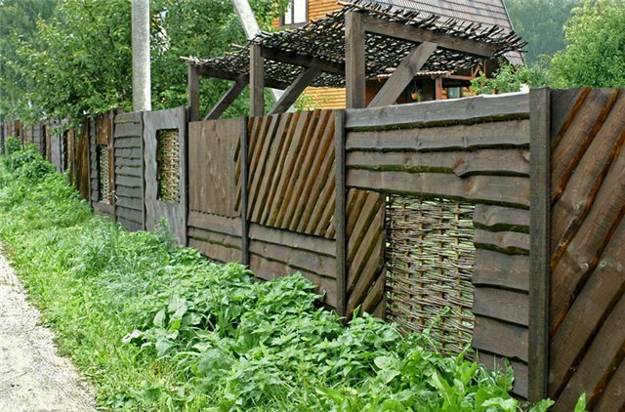 Modern fences can be forged, made of wood, concrete, metal, branches and logs. 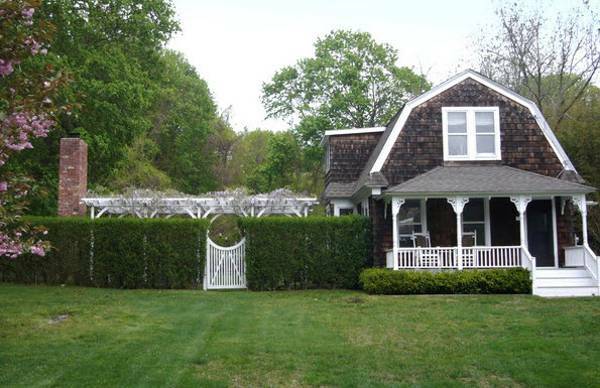 Each fence design has its advantages and unique appeal. 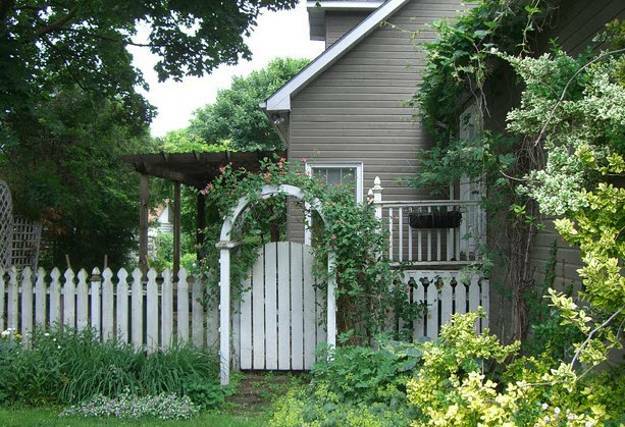 Wrought iron fences look expensive and very decorative. 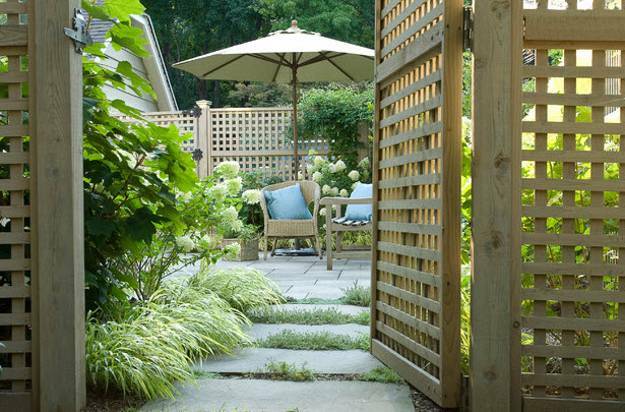 Elegant lines and decoration patterns offer fabulous and classy fence designs. 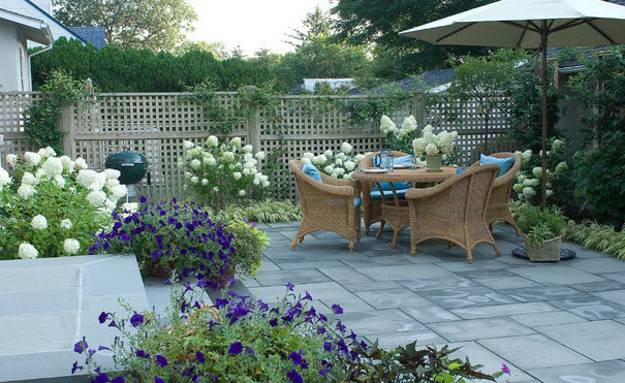 Lace like decoration patterns do not provide much privacy, but add fabulous accents to yard landscaping. 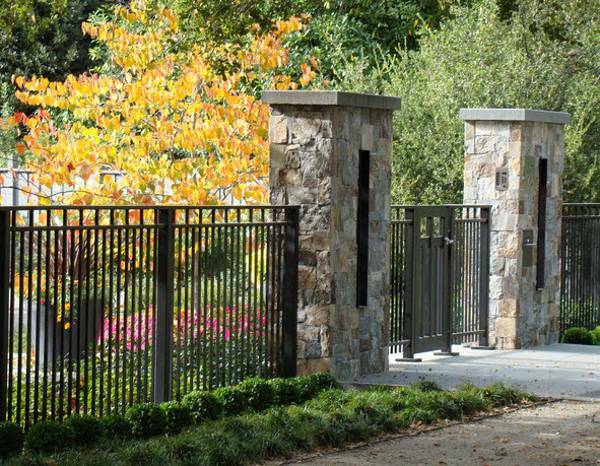 Wrought iron fences are durable, timelessly stylish and very attractive. 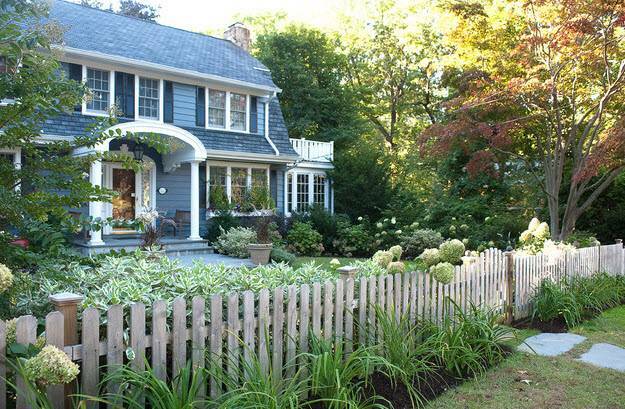 Iron fences look great for years. 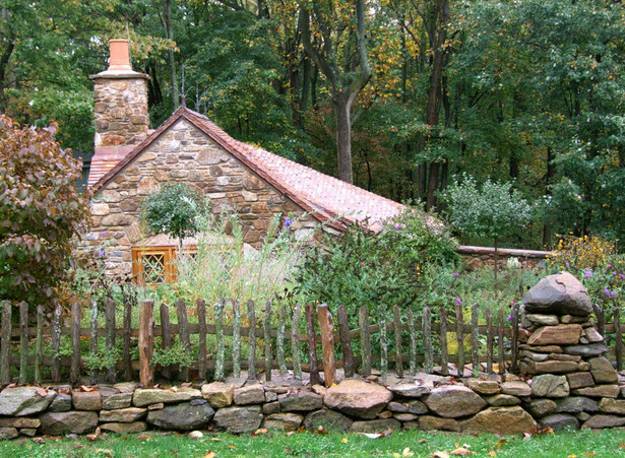 Wooden fences are popular, less inexpensive and naturally beautiful. 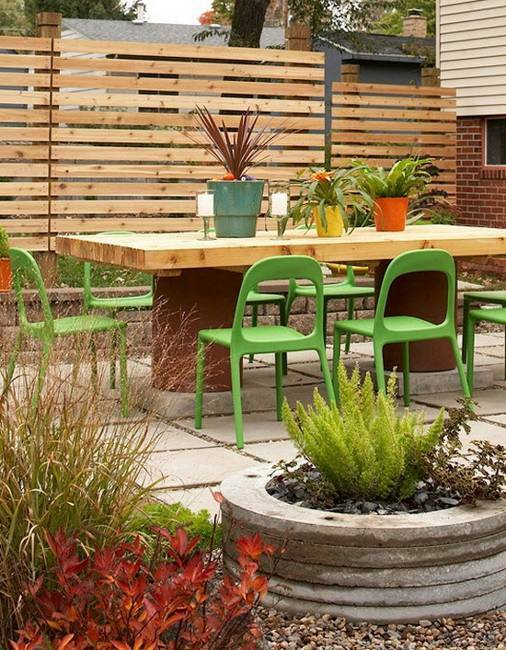 Wood fence design ideas are environmentally friendly and allow to personalize yard landscaping with unique details, bright colors and accents. 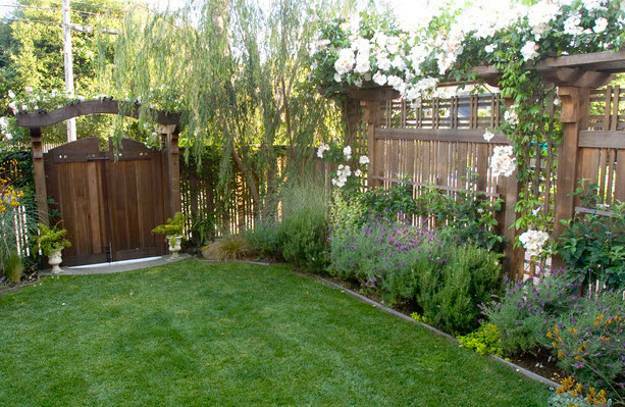 Durable and modern wood fences last for many years, adding charm and coziness to yard landscaping ideas. 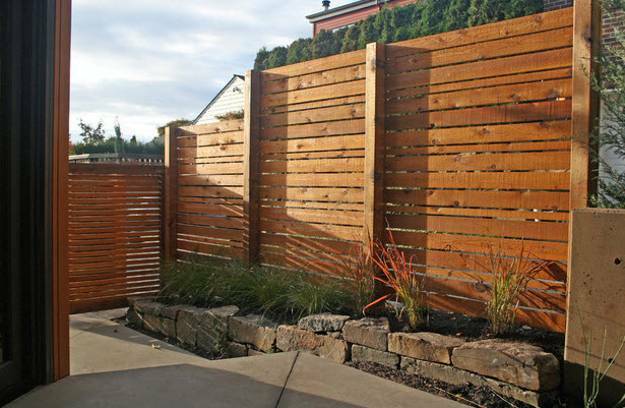 Contemporary beautiful wooden fence design ideas and rustic wooden fences come in various designs and allow to personalize outdoor living spaces in accordance with your lifestyle and taste. 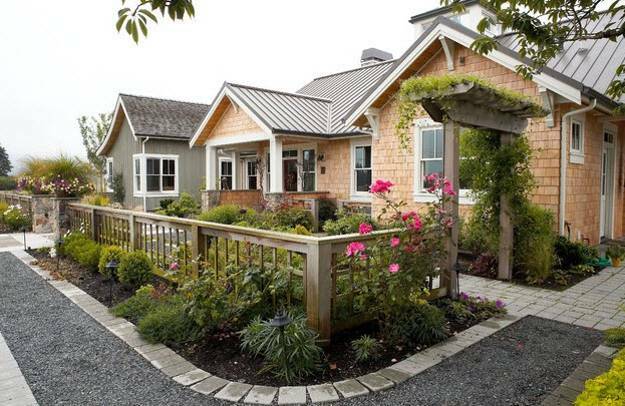 Bright painting ideas and creative details help emphasize the natural pattern of wood fence design and make a statement. 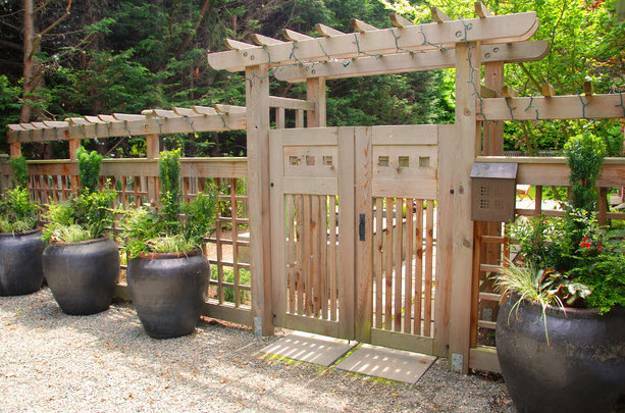 Modern reinforced concrete fence designs and traditional stone fences are great for protecting your property from noise and a heavy traffic on a busy road. 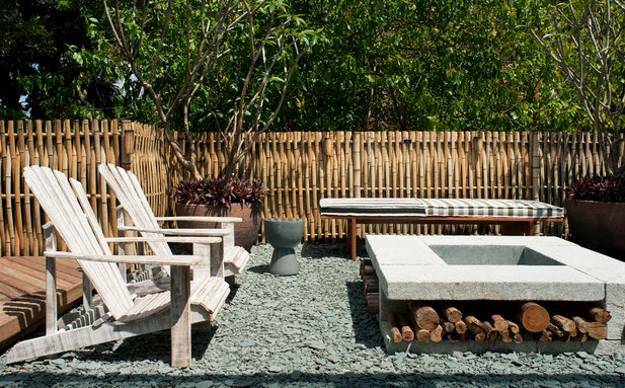 New reinforced concrete materials for fence design and natural stones are wonderful alternatives to boring structures and lacking interest concrete fence designs. 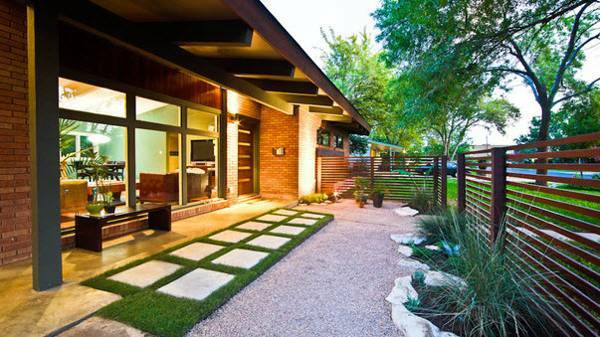 Modern fence design ideas offer beautiful and practical solutions to enhance, improve and compliment house exterior and yard landscaping. 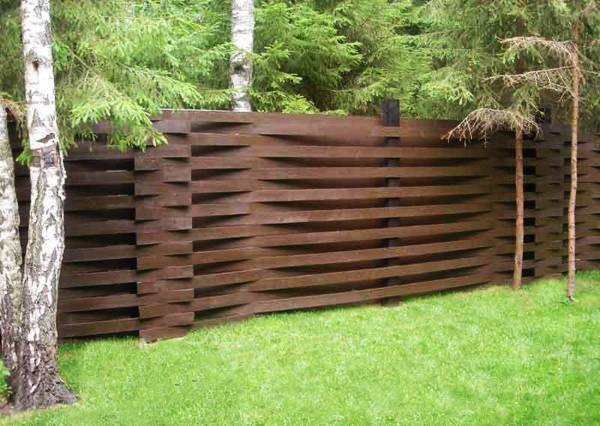 Modern fence designs protect properties from noise and dust, enhance house exterior design style and decorate the site. 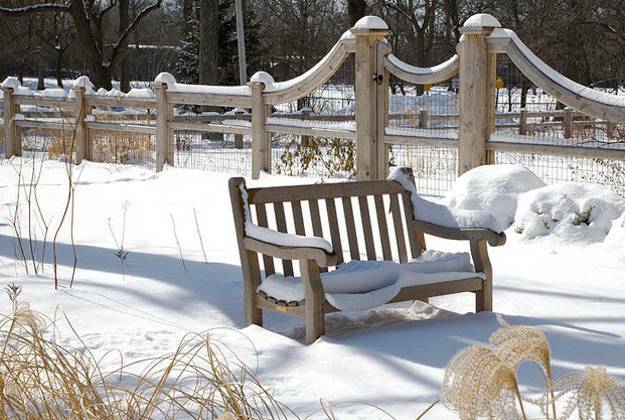 Traditional and modern wrought iron fence design ideas, classic natural stone, brick or wood fences and contemporary fence designs add depth and interest to yard landscaping and bring unique shapes, texture and color into backyards. 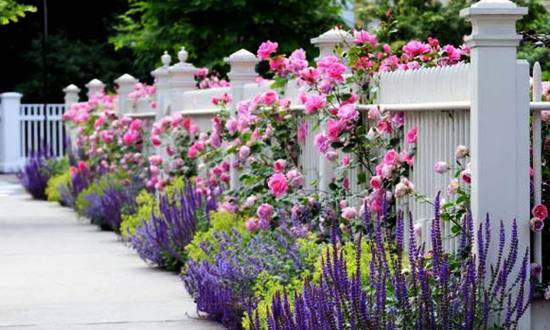 Beautiful fence design ideas can be enriched by bright paint colors. 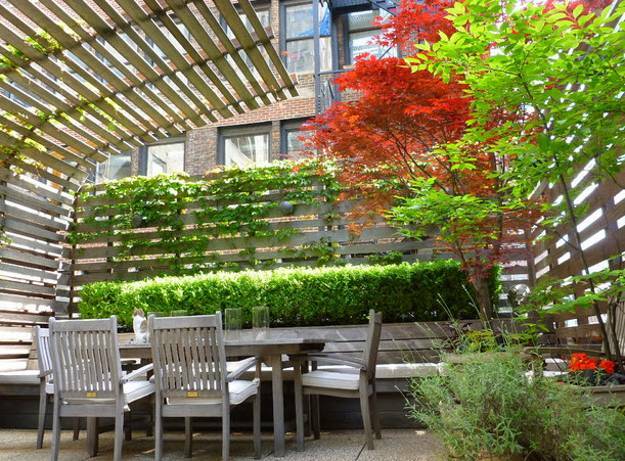 Red, yellow, gray, black and white, brown and green colors look wonderful with lush vegetation, flowering plants and evergreens.